Frankie is struggling. This time it&#8217;s not to keep his room clean, or to win the Pine Run 3000. It is something much more serious: MATH! He just doesn&#8217;t get it&#8212;it seems impossible. So instead of acing his quiz, the numbers become unconquerable monsters. When Frankie finally shares his problem with his family and his best friend, Kenny, they band together to create a math obstacle course that will teach Frankie everything from subtraction to long division&#8212;in the most fun of ways! 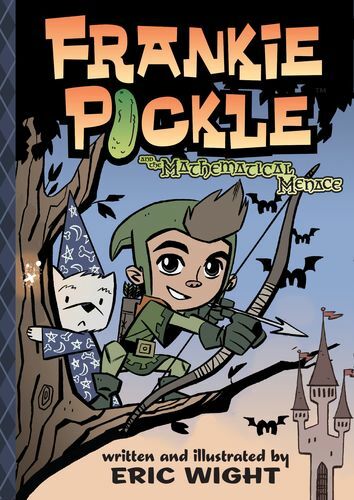 Can Frankie and his imagination overcome the Mathematical Menace that haunts him?